In this collection of interdisciplinary papers, for the first time well-known scholars of Ancient Near Eastern Studies discuss Babylon from the point of view of the “culture of knowledge”. The volume is the result of a conference that took place on the occasion of the exhibitionBabylon – Truth and Myth in Berlin. 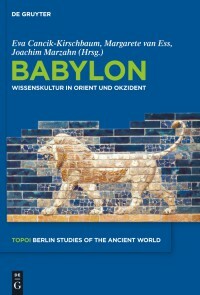 For the contemporary cultures of the Ancient World, Babylon was the epitome of learned scholarship. Yet in the processes of transformation of Late and post-Antiquity, to the same extent to which this culture of knowledge was forgotten after the collapse of the old oriental empires, Babylon became symbolic for the occult, for magic and esoteric knowledge.